Chinese labor had two major victories this week, when Honda Motor Co. granted 1,900 employees a 24% wage increase and Taiwan-based Foxconn Technology announced a 33% raise for its workers at its mainland Chinese facility. The increases at Honda came at the end of a nearly two-week strike—employees at four Chinese factories refusing to work until their pay was raised. Honda Motor reopened business at a transmissions factory on Wednesday and plans to resume work at its remaining plants on Friday. The second victory for Chinese employees came when Foxconn, the world’s largest contract electronics manufacturer and a major supplier for Dell, Hewlett-Packard, and Apple, increased salaries in the wake of 10 employee suicides at a mainland Chinese factory. 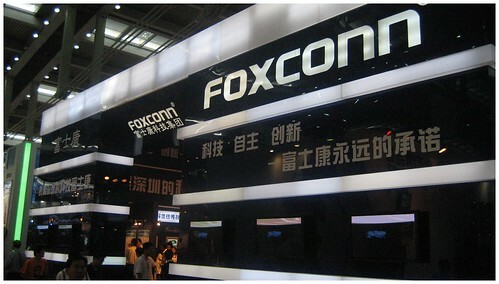 Foxconn claims that the suicides since January resulted from personal difficulties faced by many migrant workers employed at the firm rather than from factory conditions. Still, Steve Jobs, CEO of Apple—a Foxconn client—expressed his concern about the deaths at a conference, while executives at Dell and H.P. also promised to investigate the issue. Foxconn has denied that the wage increase is related to the suicides, claiming the pay raise was a response to increased prices and costs of living. Together, the pay increases by Honda Motor and Foxconn reflect the growing influence of labor in southern China, where factories have been experiencing labor shortages (especially among unskilled migrant workers) since 2003. Responding to inflation and rising food and energy costs, Beijing called on local officials to increase minimum wages earlier this year, and many cities complied with 10 percent to 15 percent increases. Libyan officials have banned their national sports teams from competing with their Egyptian and Algerian rivals. The ban came to light on Wednesday, when a letter to the chairmen of the Libyan Football Federation and the Libyan Olympic Committee was released. The letter also requires Libyan teams seek government authorization before competing with teams from other Arab nations. The ban and authorization requirements are ostensibly aimed at promoting “good sportsmanship,” though some have suggested that Libya’s actions are a response to violence at last November’s World Cup playoff match between Egypt and Algeria. Prior to the match, fans threw stones at the Algerian team bus, and Egyptians leaving the stadium were attacked by Algerian spectators. The conflict prompted major protests at the Algerian embassy in Cairo. Libya has never before taken a stand in the conflict, and its recent matches with both Algerian and Egyptian teams have been uneventful. For the second time in two months, a woman wearing a veil while driving in France has been pulled over and fined.The 23-year-old was stopped near Maubeuge, a northern French town close to the Belgian border. 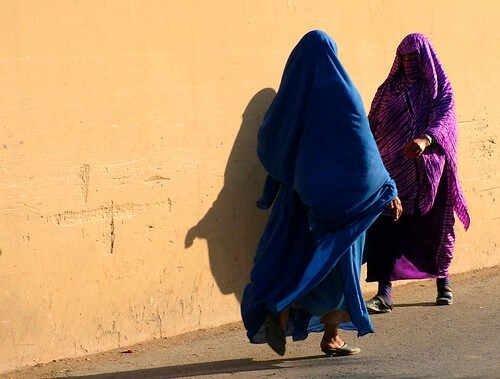 The officers were carrying out random alcohol tests, but fined the woman 35 Euros ($51) for wearing a niqab, which impaired her vision, the officers claimed. In April, a woman in Nantes was fined for a similar offence. In that initial case, the woman asserted that her human rights had been violated and that the veil was not impeding her driving ability. Neither woman has had their identity revealed. The woman stopped in Maubeuge received nearly double the fine of the one in Nantes.